The seeds of pumpkin and other winter squashes (like butternut squash) are edible. They are enclosed in thin teardrop-shaped shells that can be easily cracked open to release the seeds. The seeds are flat, oval shaped and light green in colour. Some varieties of squash have seeds without shells and specifically grown for seed. 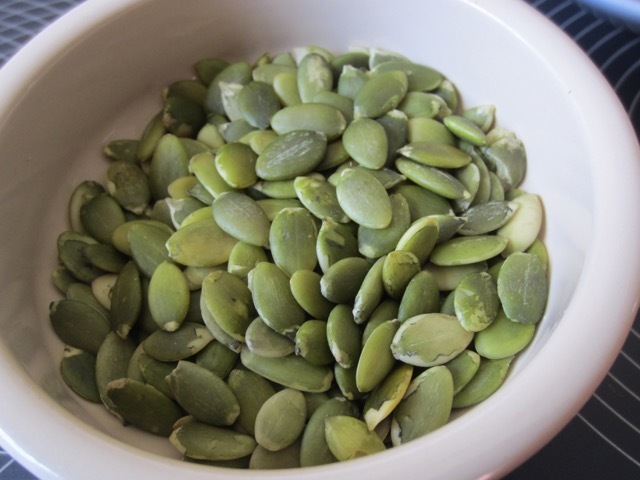 Pumpkin seeds have a high protein content, second only to peanuts (groundnuts). They are lower in fat compared to most nuts and seeds, and are an excellent source of iron. 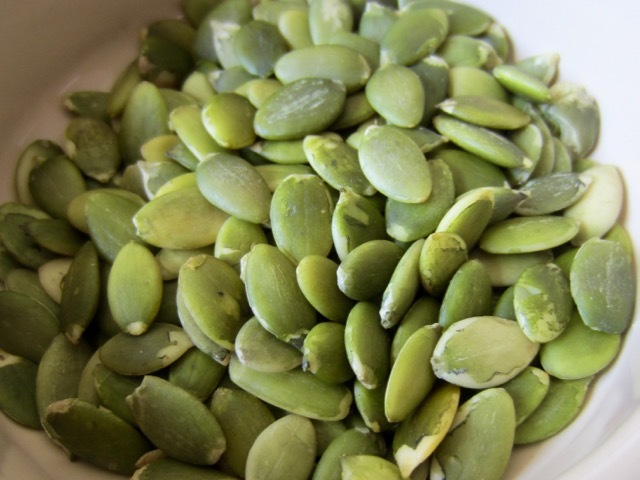 Pumpkin seeds are sold shelled or unshelled, roasted or raw, salted or unsalted and are used for snack or for cooking and garnishing. When cooking various winter squashes or carving Jack-O’-lantern you can rinse and dry the seeds and roast them in the oven. They are popularly used in Mexican cuisine to garnish foods like salads and as a snack. They are roasted and salted or unsalted. Next What is Coconut Water?